← Bright Side Blog Bash Day 4!! 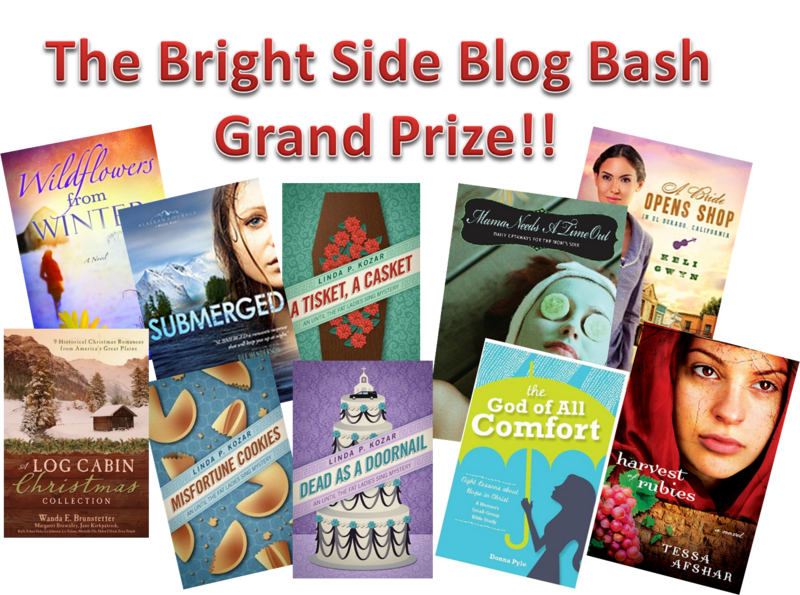 Bright Side Blog Bash Day 5!! Well, the Bright Side Blog Bash is nearing it’s end. Don’t worry– we still have one more day of winners to announce, but I must thank all of you for your participation this week. It’s been so fun reading your comments. My heart skips a little beat when the winner’s name is drawn for each contest– I’m always so excited for you! Thanks for helping me and Lacie distract ourselves from not being able to attend the ACFW conference this weekend. We’ve had a wonderful time promoting our author friends and we hope that even if you didn’t win copies you’ll check out some of their books and support them as well! Also, I would love it if you would continue visiting my blog. I will still continue to do giveaways from time to time and I love your comments on my regular posts. If you’re not a subscriber, please do so. This is the best place for me to connect with you readers, so please don’t hesitate to comment, email me, or follow me on Facebook or Twitter! This sandwich lover really enjoyed reading your comments yesterday about your favorite sandwiches. Seriously– I’m going to have to try some of those! And now to announce yesterday’s winner of the 3-book New Releases Prize pack. Congratulations to Melody Durant! Melody, I have to admit, you haven’t sold me on the peanut butter and mustard sandwich, but since your name was randomly chosen, I’ll still let you win. 😉 Please email me with your mailing address asap (and maybe include a little more explanation on this sandwich recipe…). Today is Grand Prize Friday!! Look at that collection of amazing books. Doesn’t it look awesome?? I’m so excited about giving all of these books to one lucky winner. I mean, it’s like hitting the jackpot! There’s something for everyone in this stash– a little mystery, a little romance, a little history, a little Christian Living… It’s a fantastic collection! No good book can be enjoyed without CHOCOLATE, so I’ll be sending you some of my favorite kinds! Okay friends, if you want to win today’s GRAND PRIZE, you need to leave a comment answering the following question: What’s your wildest dream occupation? For me it’s Broadway. I’d give anything to be on Broadway. I was a musical theater major for a while in college and occasionally I regret not sticking with that path. Of course, I fully believe that God has me right where he wants me and I wouldn’t change a thing about my life or my family, but when I’m belting out a tune from Wicked or Les Miz at the top of my lungs, it’s hard for me not to imagine what it would be like to perform it on a Broadway stage. So I want to know from you about your “dream” occupation. Good luck, contestants. The winner will be announced tomorrow (Saturday)! 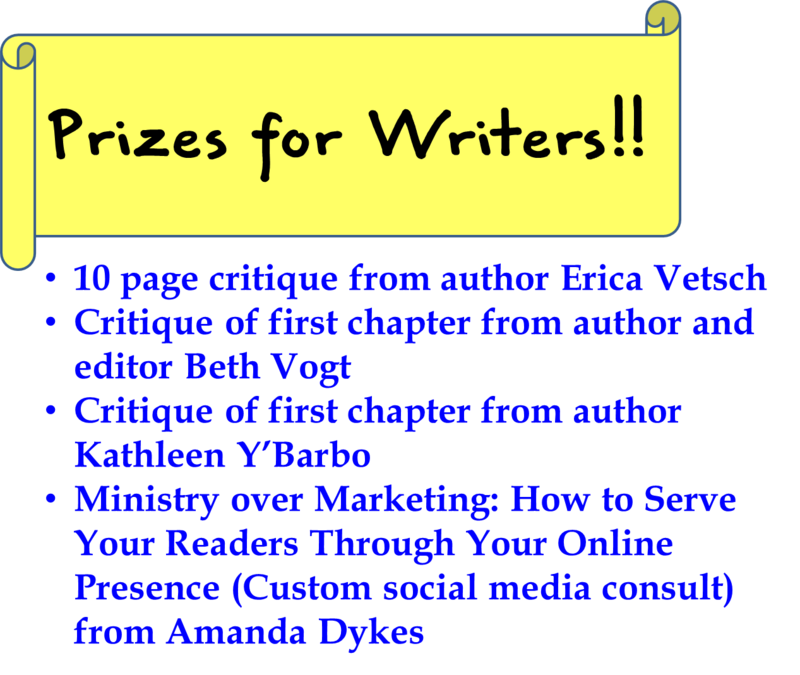 Writers– last chance to submit your blurbs to win one of the amazing prizes below!! We’ll be announcing those winners tomorrow, too! Refer to the post on day 1 to make sure you’ve commented with all the correct information. Again, thanks everyone for your participation this week. Make sure you check back for the winners tomorrow and keep visiting and connecting with me and my co-host for this week, the amazing and beautiful Lacie Nezbeth! My wildest dream occupation would be to be a stunt woman for movies. As a youngster (many moons ago) I was a huge tomboy. I could do anything a boy could do but better! Back then I knew no danger! I could climb a tree faster, hanging from a branch that use to scare my grandmother to death! I out ran the boys. I was a great base ball player. Sliding into a base never bothered me! I could actually picture myself in that occupation. We all can dream, right? My wildest dream occupation would be a food TV personality. I would want to be able to cook amazing food AND have a show where I could travel the world tasting my way from country to country, all the while drawing a pay check! The post escaped without my last name, sorry about that! I’ve always wanted to view Earth from space. It must look absolutely beautiful. I’ve seen photographs of course, but to actually see it for myself would be awesome, in the true sense of the word. I don’t know that I want to be an actual astronaut, maybe just the photographer. The fact that my photographs are less than perfect is by the by. My wildest dream occupation would be to be a christian music singer. In this dream I have the ability to sing wonderfully. In real life I cannot keep a tune. I always wanted to tour with Amy Grant. As it turns out, today I am going to the Women of Faith conference with a friend and Amy Grant is performing. My oldest son said to tell her I am a big fan when I get to talk to her. I won’t actually get to talk to her but I am a big fan! Wow, that’s a good question! Aside from a multi-published author, I might like to travel and speak to women about challenges that the Lord has brought me through. Oh my word. I have to pick just ONE?? Okay…I’d like to be a accomplished show jumping equestrian who moonlights as an author on the days she isn’t speaking to throngs of woman who want to hear her every word when Beth Moore isn’t taking notes. Once again, I’ll enter as a reader, since I don’t need any writing crits right NOW! Hmmm…I’d say astronaut, but I recently realized I wasn’t alone in that pipe dream. I suppose the wackiest experience was when I decided to be a veterinary assistant, so I shadowed my local vet for a day. I made it through a tumor-removal surgery, but once the SPAY surgery started (ladies, it just hits you weird somehow! ), I completely passed out. Hit my head on the O2 tank, then the floor. I’m so glad I didn’t go that route, since I lacked the math skills necessary for it anyway! God was just letting me know early in the journey. So my writing often includes animals. That’s a LOT easier. Wildest dream job? Or wildest job in a dream? Two VERY different things, you know. 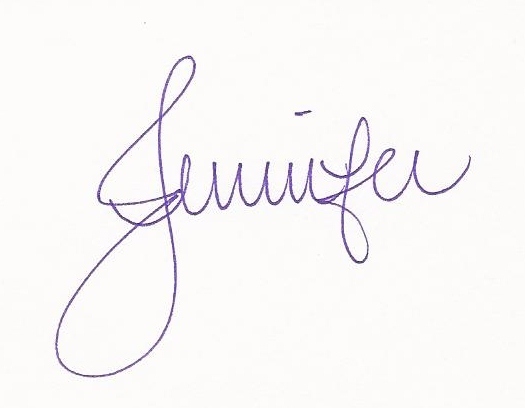 Wildest dream job – I’m probably with you, Jennifer, on Broadway, because it would combine two of my loves, singing and acting, three if I get to WRITE the show. That just doesn’t sound very wild…. so I’ll tell you the wildest job I’ve had in a dream…. Now, I could tell you about the time I crawled through the jungle on my belly in camouflage, war paint, and dirt as I led my guerrilla troop against the most evil, sadistic tyrant of all time, or about the time I was a sky-diving instructor who was afraid of heights or the deep-sea diver who got claustrophobic if she went too deep (I’m wondering about therapy with those last two…), but I think the wildest and most invigorating one for me was the time-traveling detective. I started dreaming about it after reading Crichton’s Timeline (love, love) and have thought how AWESOME that would be! Great week, great bash, great blessing you and Lacie have been all week! Will continue praying for health for your family – and asking that God would give you back ten-fold the time and blessing that you’ve given us! Jenny, I think your next vlog should be you belting out one of those songs. Think viral! Awesome giveaway! I’ve had so much fun too!!!! I went through several job phases, but…my biggest dream was to make movies. I wanted to write, direct, and produce movies! I even got into two different film schools. I turned them both down when I felt God pulling me back to Columbus for the second time and soon after I met my future husband! I still love the movies but I wouldn’t trade my life for any Hollywood blockbuster! My wildest dream job is best-selling author and right up there with it would be interior designer. It’s suppose to say I”M not UK! To be an editor for my son-in-law, the best selling author, and to moonlight by working at Disney World! I never really had a “dream occupation.” I always wanted to be a wife and mother. Now I work as a special ed para at an elementary school. I really enjoy this. It has a great mix of work and time off. The only thing I’d like to change is to have more pay. We did get a little raise this year but it’s still a pretty low paid profession. But I always thought it would be cool to have superpowers, and I mean, Spidey’s are pretty awesome. Hey there, have u by chance sent my prize books? I gave u my Oklahoma family address cause we will be in and out this month. If they wouldn’t be shipping soon maybe I should use our TX one. Will leave OK Oct 28.